Get Connected, the UK charity which Daniel supports since 2009, has merged together with YouthNet and will continue as The Mix. It combines YouthNet’s extensive digital reach and Get Connected’s telephone helpline and counselling service. It offers multi-issue support with a particular focus on mental wellbeing and creating opportunities through volunteering. 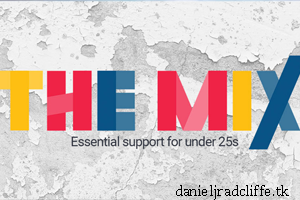 The Mix aims to reach over 2 million young people by 2018, a quarter of the UK’s population of 16-25 year olds (currently reaching 1.7million). The new brand will be fully rolled out across all services by summer 2016.